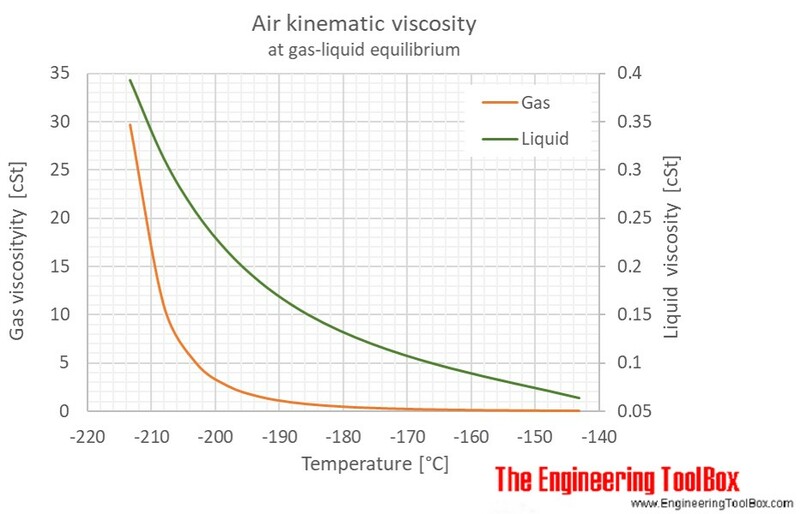 At standard conditions, air is a mixture of gases. 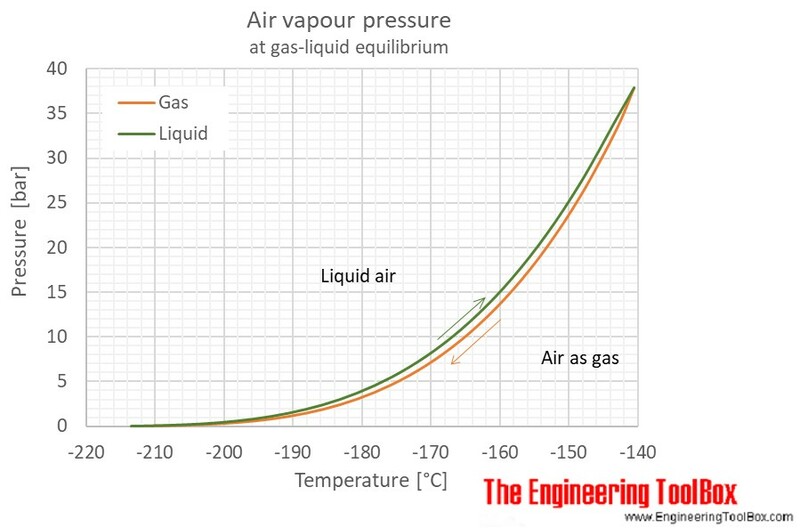 However, at low temperature and high pressures the gas mixture becomes a liquid. 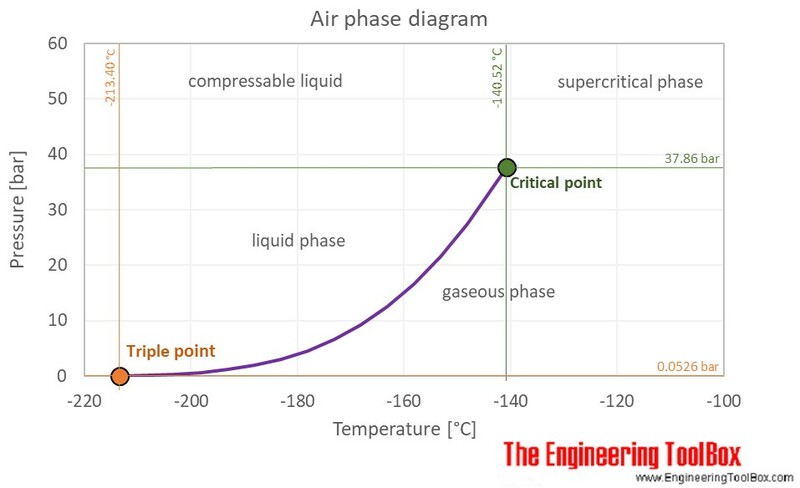 The air phase diagram shows the phase behavior with changes in temperature and pressure. 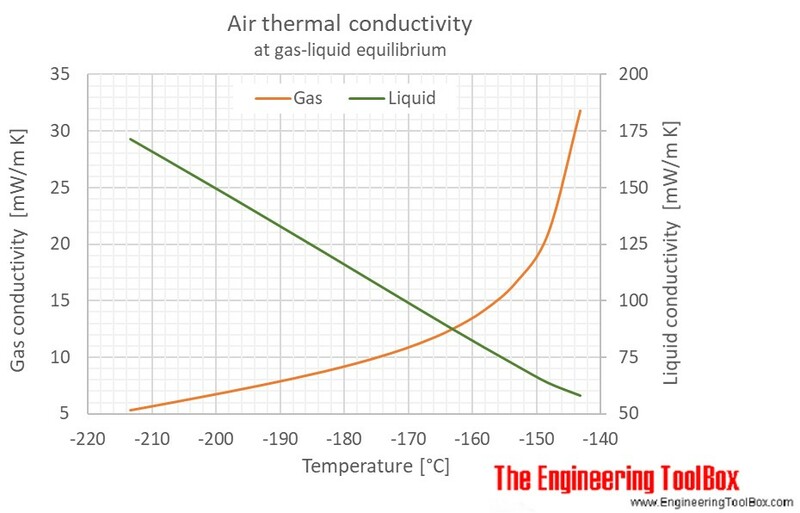 The curve between the triple point and the critical point shows the air boiling point with changes in pressure. 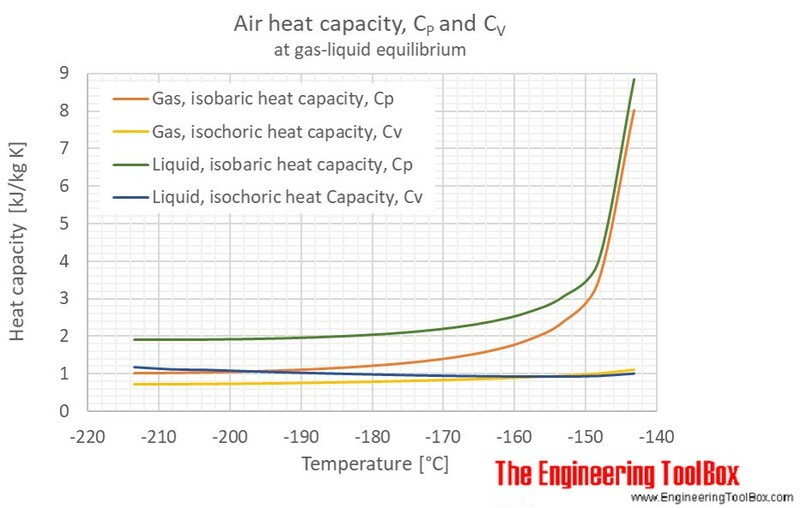 The figures below show the changes in thermophysical properties along the air boiling and condensation curves: Vapour pressure, density, viscosity, heat capacity, thermal conductivity. Tabulated values given in SI and imperial units, and unit converters are given below the figures. For full table with thermal conductivity, dynamic and kinematic viscosity - rotate the screen! Engineering ToolBox, (2018). 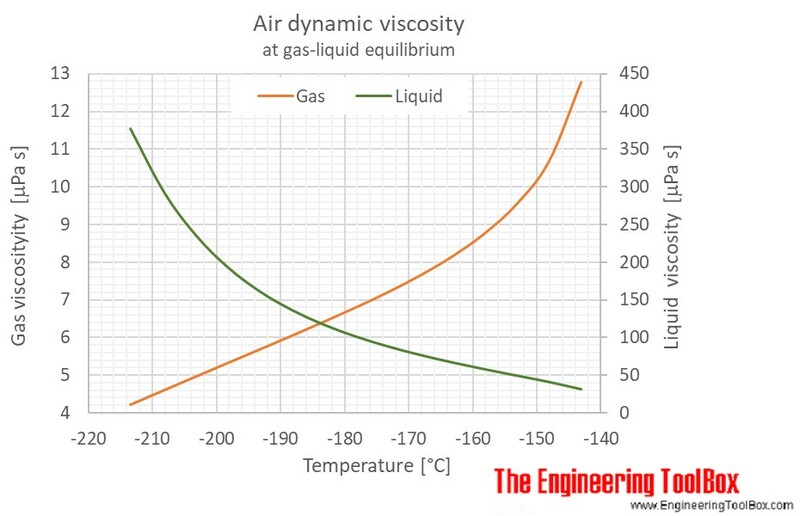 Air - Properties at Gas-Liquid Equilibrium Conditions. 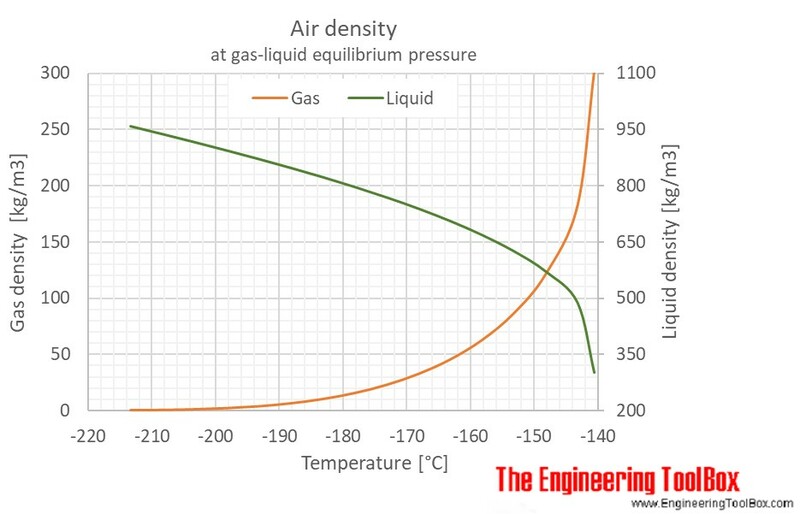 [online] Available at: https://www.engineeringtoolbox.com/air-gas-liquid-equilibrium-condition-properties-temperature-pressure-boiling-curve-d_2008.html [Accessed Day Mo. Year].